Recorded Live at Budo-Kan , Tokyo , Japan - January 31, 1995. Files: 23.:: Size: 730.98 MB (flac). 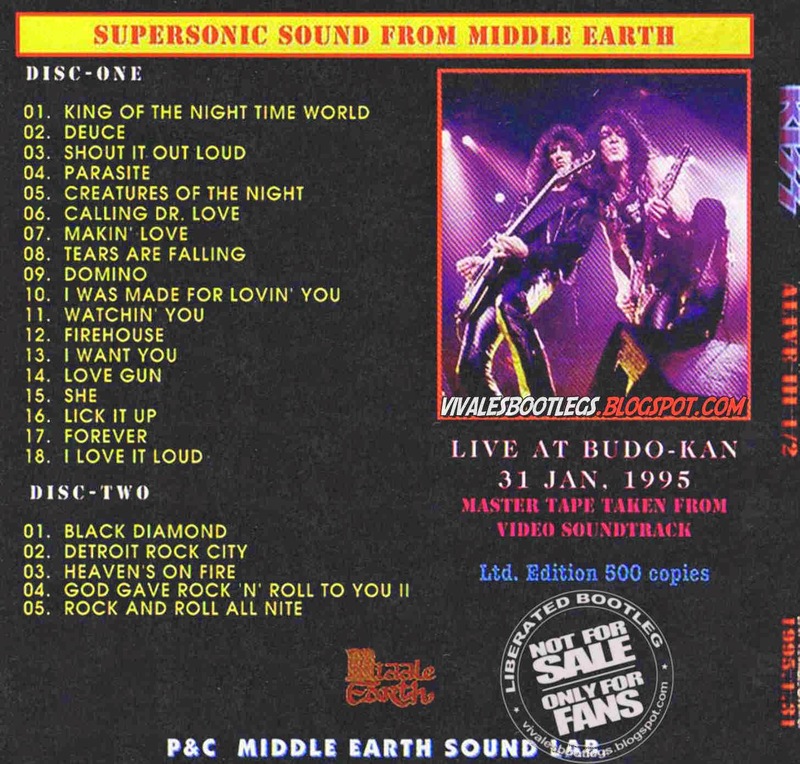 Personnel: Paul Stanley – rhythm guitar, lead vocals - Gene Simmons – bass guitar, lead vocals - Eric Singer – drums, percussion, vocals - Bruce Kulick – lead guitar, vocals. Notes: Sound quality: Mint Soundboard recording. Japanese CD. Digipack. The best sound quality bootleg CD ever made. (Info taken from kissbootlegged com). Thanks for this great recording. My best regards,K.